First of all , get ready for the highest level of ford headlight customizations. These 2011-2016 Ford F350 Custom Projector Headlights are one a kind true masterpieces. 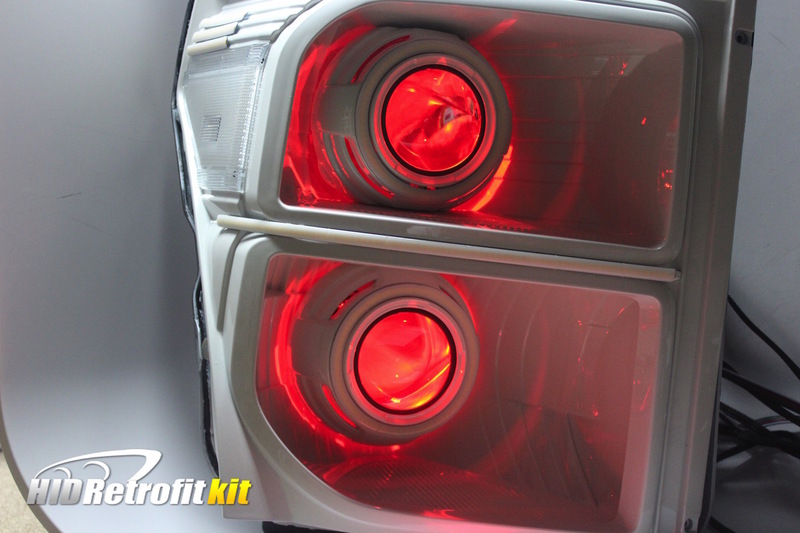 Can you believe there are exactly 2 bi-xenon projectors, 2 switchback led halos, 4 switchback led strips, 2 led rgb demon eyes, 2 plug and play relay harnesses powering two hid bulbs and ballasts for each single headlight yet our customers can install themselves without hassle or complications. In addition, we make sure these headlights are up to the test!